Use SmartAsset's Savings account comparison tool to compare Savings Account Rates from the top banks and find one that best suits your needs. 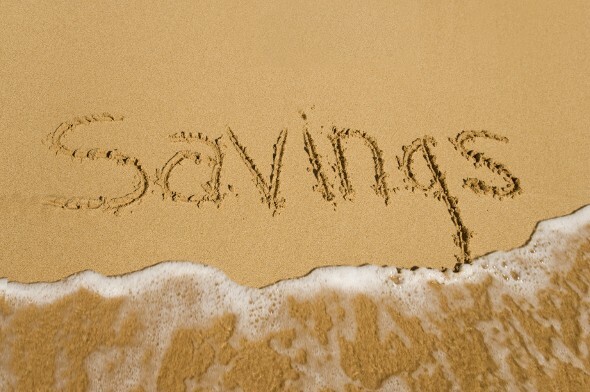 We all know it's important to save, but there are different kinds of saving. One is saving for retirement. This is generally an ongoing form of saving, in a 401(k), IRA or other retirement account that comprises a mix of stocks and bonds. Another is saving a smaller amount in a more liquid form, to keep on hand as an emergency fund. That's where savings accounts come in. 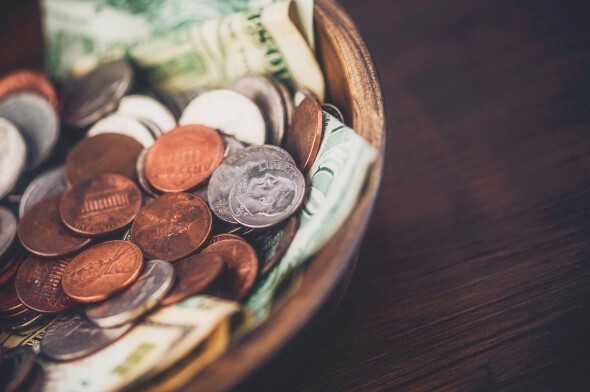 Savings accounts are safe places to stash your emergency fund, which experts say should equal at least 3-6 months of living expenses (more if your job is less stable or you are the sole breadwinner of your family). Why do you need this money in a liquid account like a savings account? For one thing, it's a good idea to keep some savings separate from your retirement accounts because if you tap into retirement accounts before age 59 1/2 you'll pay a 10% early withdrawal penalty, plus taxes. For another, you may need to access your emergency fund in a hurry to cover a medical bill, keep you afloat while you look for a new job or pay for immediate car or home repairs. In that case, you don't want to be scrambling to sell stocks to raise the funds you need. With a savings account, you get a high amount of liquidity, which means accessing your savings in an emergency is quick and easy. Plus, you can rest easy knowing that a stock market crash isn't going to wipe out your rainy day fund. Your deposits are insured by the federal government, too. As a trade-off for their safety and reliability, though, savings accounts generally offer low rates of return. You're not going to get rich off of the interest rate you get. You might not even beat inflation. But that's why you're only keeping 3-6 months of expenses in the account, not your entire savings. A rainy day fund is a complement to your investments, which should average a higher rate of return over the years you save. The best savings accounts are those with high rates and low fees. To read more about certain savings accounts, click on some of our reviews. To learn more about accounts in general, read on below. When you start the process of shopping for the best savings accounts, it’s important to keep an eye on the Annual Percentage Yield (APY). Banks are required to disclose the APY on their accounts so that consumers can make an educated comparison. The APY tells you the interest rate you'll earn over a year of savings, taking compound interest into account. Some accounts compound daily, others monthly and still others annually. If there are two accounts that have the same interest rate, the one that compounds more frequently will have a higher APY. Need a refresher on compound interest? Say you deposit $1,000 in January. You put it in an account that compounds annually, with an interest rate (also known as a periodic rate) of 1%. You'd earn $10 after a year, bringing your grand total to $1,010. The next year, you'd earn that same 1% interest rate on $1,010. Your money grows as it compounds. If it compounds daily or monthly, you earn more money than you would with an account that compounded annually. The more times your money compounds per year (the number of periods in a year), the higher your APY. That's because the APY = (1 + the periodic rate) the number of periods in a year - 1. Again, all things being equal, a higher APY is better for the customer because your money grows at a higher rate each year you have the account. Some savings accounts have minimum initial deposit or minimum monthly deposit rules. If you're just starting to grow your emergency fund you may not have enough to meet these requirements. If your income varies from month to month you may be better off skipping an account that has a monthly minimum deposit. Not to worry - you can take advantage of accounts that don't have minimums. Later, when you're able to save more, you can always transfer your business to an account with a higher APY that has a minimum deposit rule. The rate on a savings account is the periodic rate (also known as a nominal rate) we mentioned when we explained the APY. When you're comparing to find the best savings accounts, it’s a good idea to take a look at both the rate and the APY. With some accounts the rate and the APY you see will be the same. Why? Because those accounts only compound once per year. An important tip for anyone looking to compare savings accounts is to read the fine print and identify any fees associated with the accounts. These could be account maintenance fees, annual fees or minimum balance fees you pay if your account dips below a certain level. Our tool makes it easy to see what fees - if any - you will have to pay to use an account. Any fee you pay will cut into your earnings from that account. You may decide that a small fee is worth it if you like the other features of an account or if you think the APY will make up for the impact of the fee. Or, you may decide to opt for an account that's fee-free. The choice is yours. To find the best savings accounts for you and your family, you may have to balance yield and fees. Whatever you decide, remember that neither the APY nor the interest rate takes fees into account. If you're paying fees, you're really earning a lower annual interest rate than the advertised percentages you see. Unlike checking and money market accounts, savings accounts generally don't come with the ability to write checks from the account. If you already have a checking account that you're comfortable using, you may not need check-writing capabilities from your savings account. You can always transfer money from your savings account to your checking account if you need to. Savings accounts also come with a rule on pre-authorized payments: you can only have 6 per month. This doesn't apply to ATM withdrawals, just to automatic or pre-authorized transfers. These transfers could be between your accounts or to third parties - they're still limited to 6 per month. That's why it's generally a good idea to use a checking account for bill pay and direct debit. Many Americans don't have any emergency savings at all. In other words, if you're reading this, you're ahead of the curve. To find the right savings account rate for your needs, it's a good idea to take a holistic view and evaluate all the features explained above. The best savings accounts will have a high yield and no or low fees. 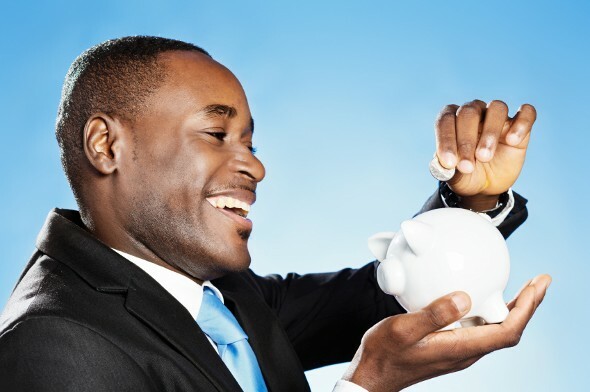 Once your savings get to a comfortable level - say, six months of expenses plus your health insurance deductible - you probably don't need to keep funding your savings account (again, unless your job is unstable or you are the sole breadwinner of your family). You can focus on boosting your retirement savings with investments that will earn you a higher rate of return than you get with a savings account. If you need to dip into your savings account for an emergency, that's fine - it's what it's there for. But it's a good idea to get to work building your savings back up as soon as you can. That way, you'll be ready for whatever comes your way. SmartAsset calculated the per capita savings rate for each county in the U.S. Click between states and the national map to see the top savings rate in each region. Also, scroll over any county to learn about the income level, cost of living and savings rate there. Methodology In order to find the places in America where people save the most, we started with how much money people make in each county. We looked at data from the Bureau of Economic Analysis (BEA) on the average income per capita for each county in the U.S.
We then calculated an estimated tax rate to determine disposable income per capita. From there, we subtracted the average spending for someone at that income level. This includes things such as consumer spending, charitable giving and interest on debt. The amount leftover can be saved, so it is the savings per capita. Finally, to determine the savings rate we calculated the savings per capita as a percentage of disposable income. Then we indexed that ranking to a value of 100 to highlight the places that save the most in the country and in each state.